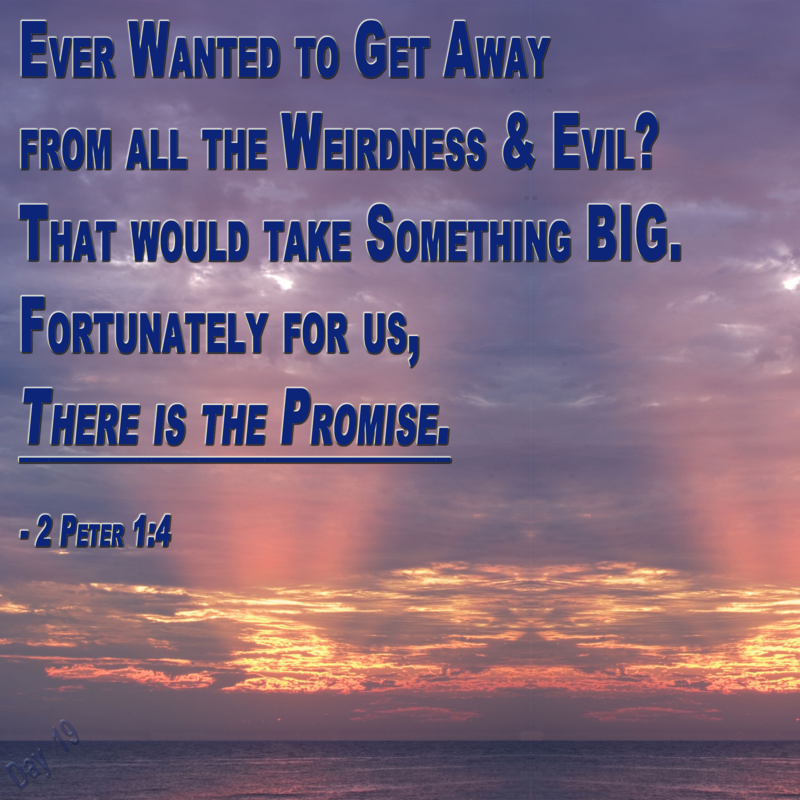 2 Peter 1:4 - (NIV1984): "Through these he has given us his very great and precious promises, so that through them you may participate in the divine nature and escape the corruption in the world caused by evil desires." 2 Peter 1 starts with a declaration of the bible's sufficiency for Life and Godliness because of Jesus' call to us for our salvation. That means, before we even get the good news in verse 4, we already know everything we need in our worldly lives and our spiritual lives has already been guaranteed to us by Jesus. Wow. 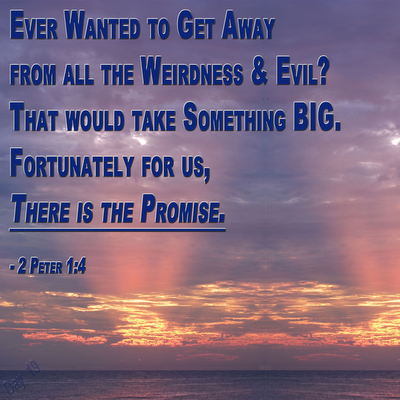 Then he gives us promises, awesome and unbelievable promises. We are told that we may share in God's divine nature and he promises we will be kept safe from the evil in the world that is caused by man's greed. If you think about it for a minute, there really is very little, if anything, that is evil and not related to man's greed, so we are being promised safety from all evil. Wow again. So, if you start today with these assurances, from God, it should be one outstanding day. 4) We can and will share in God's Nature.